1955 view of Heathrow North taken from a departing BEA Bristol 171 bound for Gatwick. 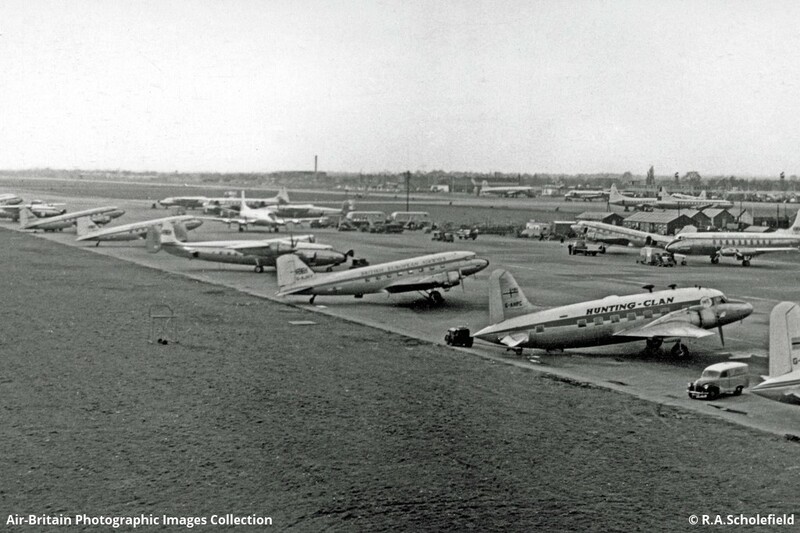 Visible are BEA Pionairs, Elizabethans and Viscounts. On the main apron are CV240s of Sabena and KLM and a BOAC Argonaut.